JP Morgan Asset ManagementWe added everything you see that’s red. 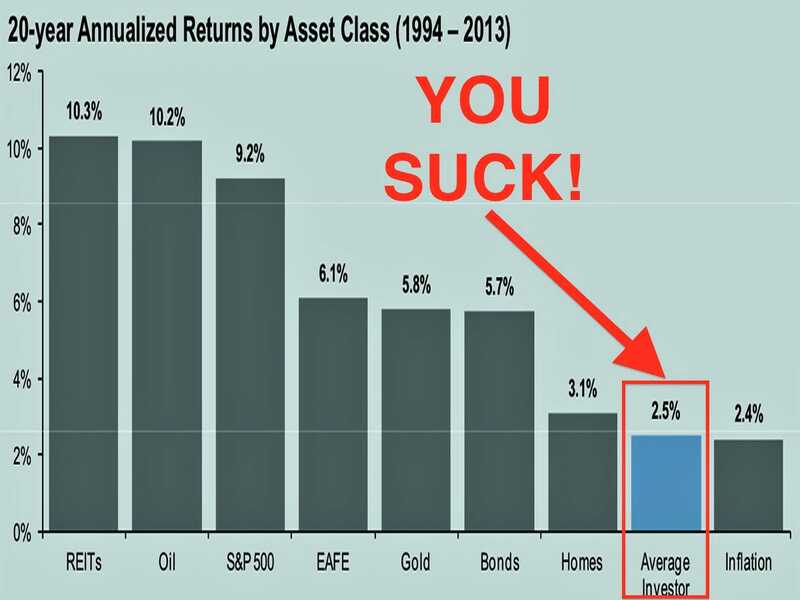 People are just bad at investing. Because of the way our brains work, we can’t help but buy investments when prices are high for fear of missing out. And then we dump those investments only after prices have fallen for fear of losing even more money. Unfortunately, history shows we should be doing the exact opposite of that. This chart from JP Morgan Asset Management is a familiar one. It shows that over the past 20 full years, the average investors annualized returns have underperformed every major financial asset class. Average investors only barely outperform the inflation rate.